Everyone’s favorite soup is even easier with this recipe for slow cooker chicken noodle soup. Can you say soup comfort food? 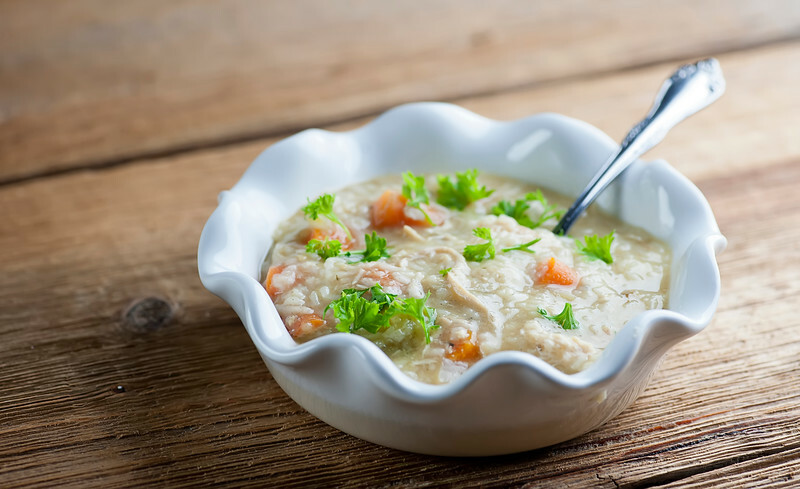 Of all the many soup recipes I have on this site (and I have 88 – I just counted), I think the ones I make in the slow cooker are my favorites. There is something about the low and slow process of simmering gently all day long that gives soups and stews such a rich, homey, comforting flavor. And so while I do love my various and sundry chicken noodle soup recipes, I figured it was high time I gave this comfort food classic a whirl in the slow cooker. And yep, it was a good, good thing. Ready to slow cook everyone’s favorite comfort food soup? Let’s make it! There’s nothing like coming home to a warm and wonderful soup now that we are in pumpkin season. 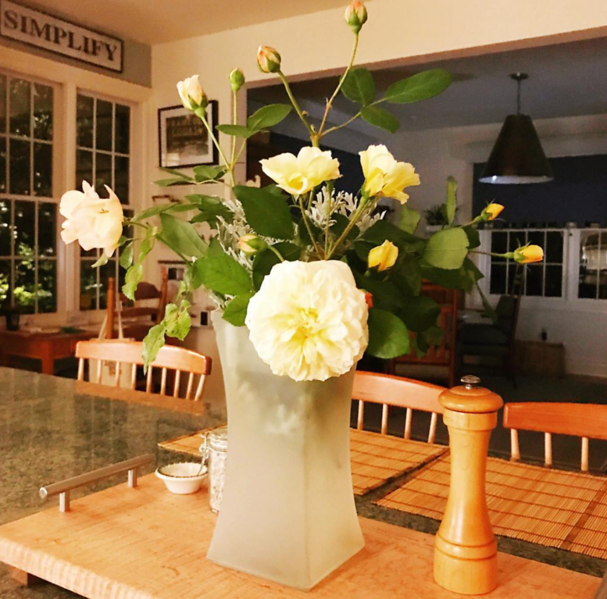 One of the other things I came home to this past week was this vase full of the very last roses from my mama’s garden. The last beauties of summer. Sigh. 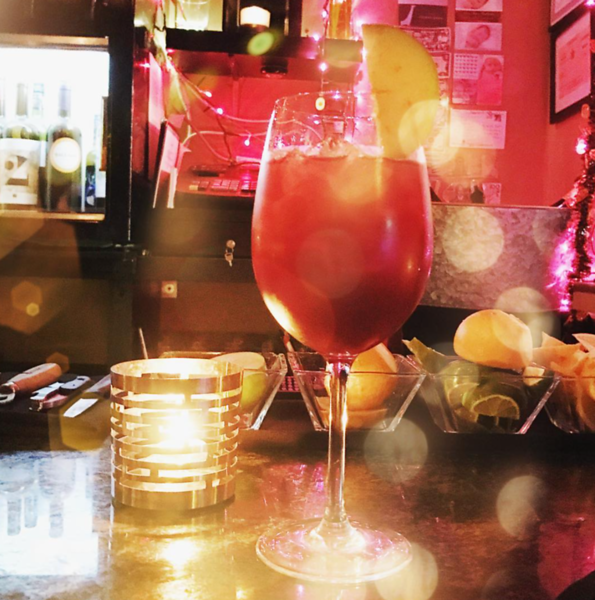 But in addition to soup in the slow cooker, this also means it is fall seasonal sangria season at our favorite wine bar (hi Marcello!) – it’s a lovely conglomeration of red wine and cider and prosecco. Scrumptiousness in a glass! 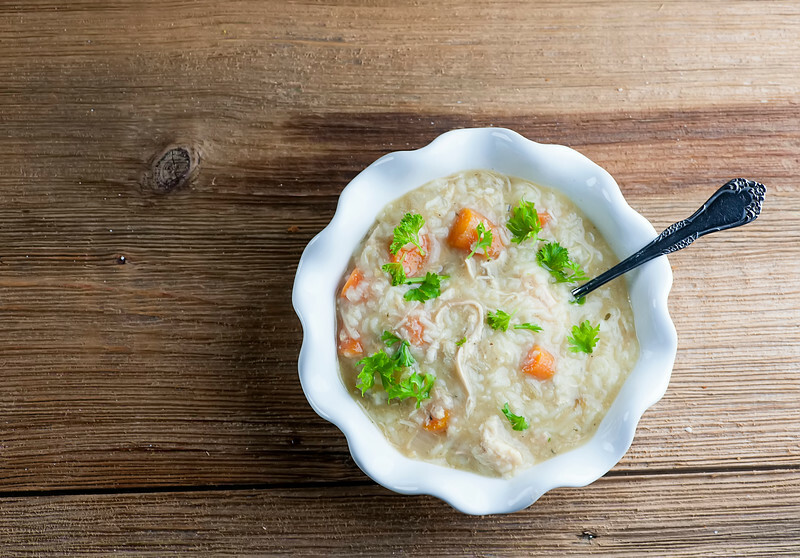 Meantime back at the soup, when you get up in the morning put some boneless chicken breasts, some carrots and celery and onion and some chicken broth in your trusty slow cooker and push the Low button. Go about your day for the next 8 hours. Now scoop out the chicken and pour in some of those super thin egg noodles. Stir them in, push the HIGH button and while the noodles are cooking you are going to be shredding the tender chicken into bite sized pieces. After about 15 minutes the noodles should be cooked…and by cooked, I mean they will have almost melted in to the soup. This gives it a lovely, creamy, thick consistency that we love. If you like your chicken noodle soup more traditional, you can use elbow macaroni or bow-ties. They might take a few extra minutes to cook up. You be you, noodle-wise! Once the noodles are tender, put the shredded chicken back in the soup, season it to taste with salt and pepper and then ladle it out. Place all ingredients except for noodles, parsley and salt and pepper into a large slow cooker. Cover and cook on low for 8 hours. Take out the chicken and shred it into pieces. While you are shredding the chicken, pour the noodles into the slow cooker, give the soup a stir and cook for another 15 minutes on high or until noodles are done. Stir the shredded chicken back in. Season to taste with salt and pepper. Ladle into bowls, garnish with parsley and serve! The thin noodles will almost melt into the soup, giving it a thicker texture. If you want more “distinct” noodles, you can use elbow noodles or bow-ties. Either cook them separately and stir them in, or add them after the soup is done and cook on high for another 15-20 minutes or until done. Love the use of thin noodles in this recipe to give it a creamier consistency! A fun twist on a delicious classic! Thanks Luci! Just in time for the chilly rainy weather, right? Kate, now we need the ingredients for the fall sangria!